THE NSW State Government is openly disrespecting Australia’s heritage, military history and sacrifices, requiring one of Australia’s world-renowned museums to essentially destroy about 70 per cent of its collection. An amendment to the state’s already draconian firearms legislation was quietly signed off on in 2017, requiring museums to weld up all handguns, pump-action shotguns and self-loading and automatic firearms held in their collections. The Lithgow Small Arms Museum houses a vast array of firearms manufactured at the iconic factory, covering the entire history of Australian military and sporting arms production from 1912 to the present day. It also has an extensive collection of other military and civilian firearms, including the acclaimed Ron Hayes handgun collection. Lithgow-manufactured rifles and machine-guns have equipped Australian soldiers in every conflict from WWI to the current situation in the Middle East, and examples of these guns – including numerous irreplaceable prototypes – are on display at the museum. 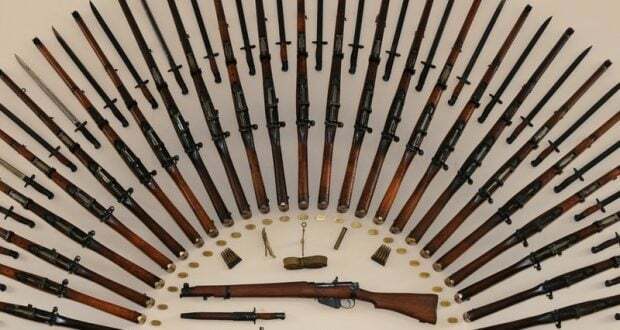 museum in the state’s north recently had its guns seized for not complying with the new regulations. The Lithgow Small Arms Museum is widely regarded as one of the world’s pre-eminent firearms museums and about 70 per cent of its substantial collection falls under the requirements of the new regulation. Rendering guns permanently inoperable requires their barrels and moving parts to be thoroughly welded up, essentially destroying the gun and turning it into a paperweight. 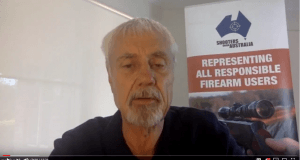 Pre-eminent peak body Shooters Union Australia has slammed the new rules, with president Graham Park calling them “a bloody disgrace” that spits on the legacy and sacrifices of Australia’s diggers. “I am beyond appalled that the NSW government would think it’s even remotely reasonable to require world-famous museums to effectively destroy nearly three-quarters of their collection because of political correctness,” he said. 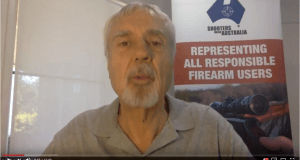 “No-one wants to visit a museum full of welded-up metal that’s lost its historical value, so this regulation could spell the end of not just Australian icons like the Lithgow Small Arms Museum, but smaller arms museums throughout the state too. 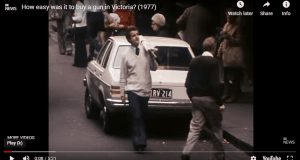 “The flow-on effects for local communities could be disastrous.” Shooters Union is encouraging anyone with an interest in Australian or military history to e-mail the NSW Department of Justice firearms@justice.nsw.gov.au) to express their concern about the regulations and their impact on Australia’s heritage. differentiate between priceless artefacts of Australia’s story and scary things that hurt lefty feelings is extraordinarily concerning indeed.